In this sixth book of The History of Middle-Earth volume series, we finally start reading the early drafts of The Lord of the Rings. A very interesting thing about this book and the complete History of Middle-Earth is that the drafts and back history of The Hobbit are not included at all. The primary reason being was the fact when J.R.R. Tolkien first wrote The Hobbit, he didn’t originally incorporated into his mythology that he had at the time. In this book we see how a lot of the elements of his mythology that existed long before The Hobbit came to be included into the world of the Lord of the Rings. Effectively merging his work as a single monolith tapestry that we all love and cherish. 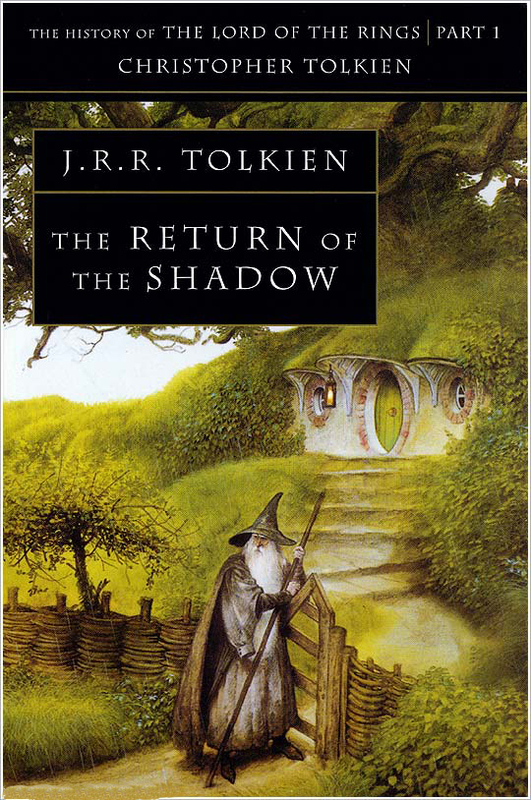 The Return of the Shadow follows the same chronological order of the chapters in The Lord of the Rings, so you’ll read different drafts of the chapters in sequential order as they occur in the final novel. Quite a lot content involves the evolution of the back story of the different Hobbits that take part of The Fellowship of the Ring. Also you’ll read and learn more about Tom Bombadil! As well as the Witchking. But perhaps the most important part, we see how the magic ring found by Bilbo in The Hobbit becomes an important element in the narrative of The Lord of The Rings. For example you’ll also read original different variations of the iconic ring verge. To me what stood out the most was Tolkien’s first ideas regarding Aragorn’s character, and how it beautifully evolved to follow the narrative of not only the story itself, but also influencing a major of portion his legendarium.